You may not know this, but you can fill the dock with more than just applications and folders. It can also hold web pages stored as bookmarks in your dock. This allows you to have quick access to your favorite sites. Todo this, first find the webpage you would like to use. 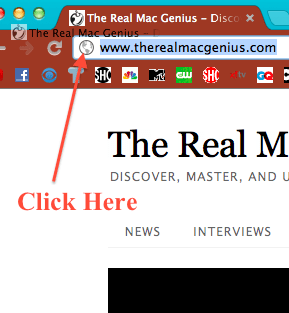 Then goto the URL and on the left should be an icon. After you have found that, drag the icon to your dock. Now with a single click, you can access your favorite webpages right from your dock. To add more bookmarks to your dock just repeat the step. Each Bookmark will have the name of each site when it is hovered over.